MBOX to PST Converter Free Mac! MBOX to PST Converter for Mac allows users to move the data from MBOX files to windows Outlook through changing the file format. Unfortunately, it’s not possible to simply import MBOX format into Outlook as it is not a supported format, despite MBOX being a very generic file format used in almost all other Mac supporting email clients. Nevertheless, if you have MBOX files with you and you want the data within them to be used with Outlook (either Windows or Mac), you have a very user-friendly approach of converting MBOX to PST. Though, how user-friendly and easy the approach turns out to be depends on your choice of a converter. Though, if you don’t have Mac, you have no other option than to use a Windows compatible tool, but experts would recommend using a Mac based tool, not Windows, because Mac environment offer a lot of benefits such as accurate and fast conversion. This article below discusses one of the best Mac compatible MBOX to PST converter free tools that you will come to love and endorse to everyone else who has the same task ahead of him or her. 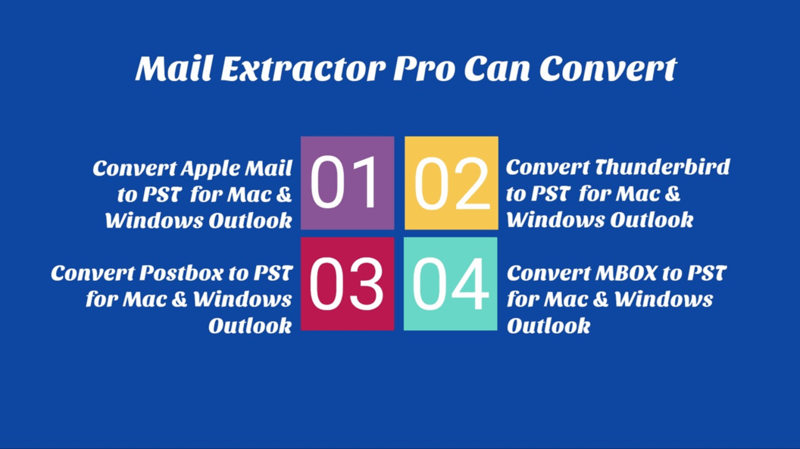 It’s called “Mail Extractor Pro.” And in the passages below, we have discussed few of the most important reasons why “Mail Extractor Pro” outdoes any other MBOX to PST converter free or paid Mac tool. It’s developed by USL Software and before you proceed below, you can also download the trial version right now to get a better idea of its features than reading about them. The number one feature, which is also always the most required and important feature in any software application, is its user interface. Built creatively by the design team at USL Software, it features an intuitive wizard, instructions written clearly for someone who has no idea about email migration, and automating much of otherwise manual options. All those combined forms the easiest approach to MBOX to PST conversion that hasn’t been possible before. Third feature is its ability to convert MBOX files in bulk and not negative affect is performance. There are many tools that may support batch conversions in paper, but converting files in bulk can crash the tool, make a ;lot of errors, or simply not work in a real-work scenario. But “Mail Extractor Pro” doesn’t suffer from the same fate, thanks to its amazing inner framework from the master team of developers at USL Software. Get it now! The trial setup is available for instant download. There’s also a customer support that is available to assist you any time of the day (24×7 availability). Read More and download at https://www.mailextractorpro.com/. 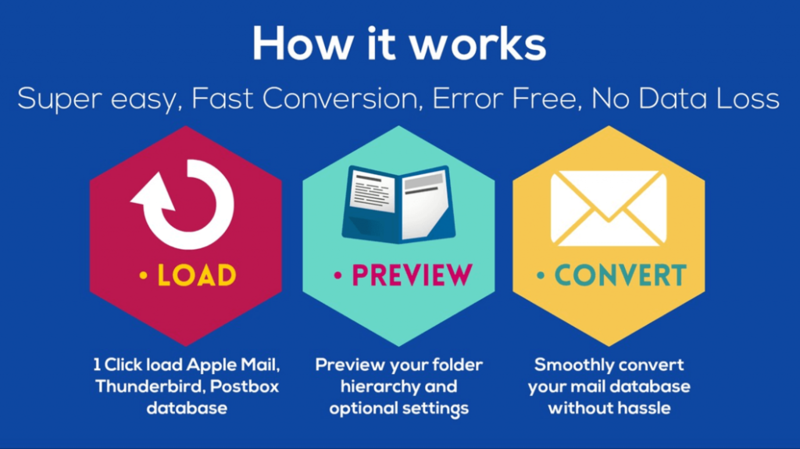 Get MBOX to PST Converter free trial for hassle free move mbox files into Mac Outlook or Windows Outlook.